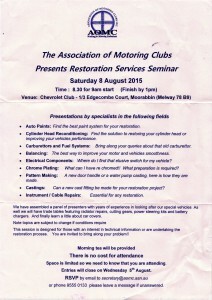 The AOMC is putting on a restoration services seminar again this year. 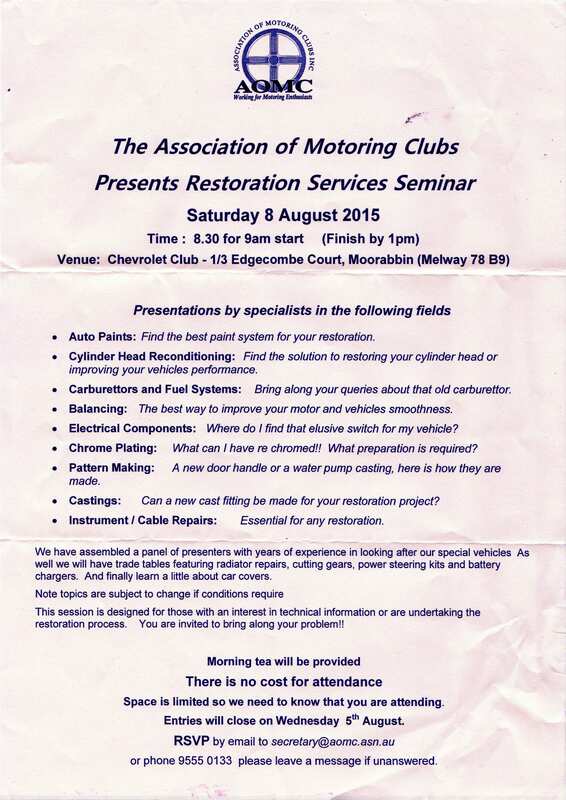 The seminar has presentations by specialists in various fields. No cost – morning tea provided. I went to one a couple of years ago, it was really quite interesting. Make a day of it . . .
Go to the seminar in the morning . . . . Come on the club’s social run in the evening!